Kids Characters Fleece Means Jackets Just $7.06! You are here: Home / Great Deals / Christmas Deals / Kids Characters Fleece Jackets Just $7.06! 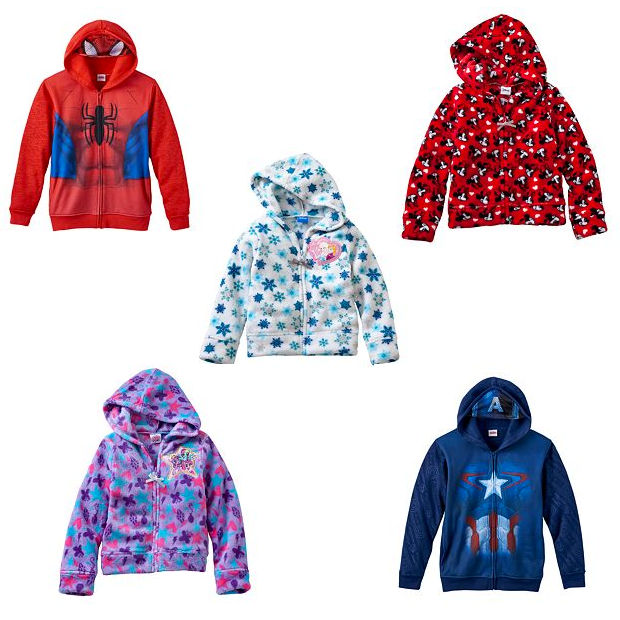 Kids Characters Fleece Jackets Just $7.06! Kohl’s has a couple of great promo’s going on now through tomorrow! Select Kid’s Character Fleece Jackets are on sale for $12.99, but you can get them for over $5 less! Final Price is $21.18 or $7.06 each! If you just use the FLEECE20 promo code the jackets will be $10.39! Shipping is FREE on orders of $50+ or opt for FREE store pickup!